IntelliFinishing would love to see you in Florida this week. Stop by our table (#305) to visit with us about your finishing needs. Our complete automated systems for liquid coating or powder coating manufacturing facilities may be exactly what you never knew you needed! This alternative to power and free system is chainless; friction-driven by a spinning tube. It is capable of moving in forward and reverse at any point in the system. It’s energy efficiency has saved one of our customers 49% on costs! Energy efficient ovens and washers run only when parts are present and installation is quick because of the time saving modular design. They arrive at your facility ready to install. Stop and see us at the show and let’s talk about what else you may not know you need in a finishing system for manufacturers. After all this time of our customers wanting to keep the identity of their automated complete finishing systems, provided by IntelliFinishing to themselves…the secret is out! 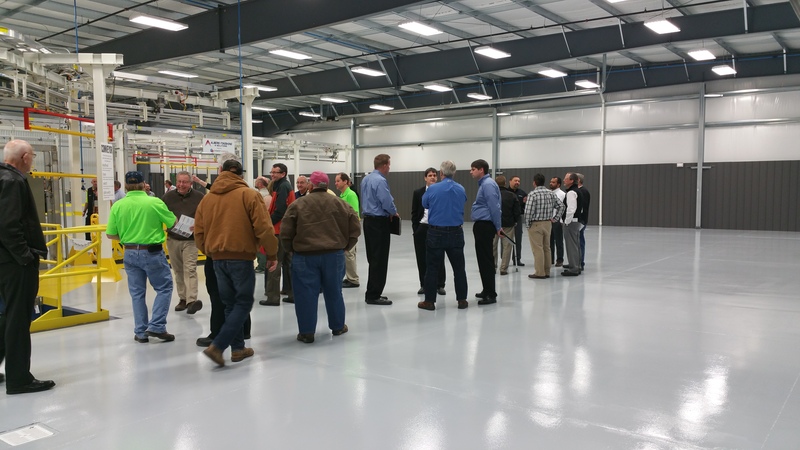 Last week in Cheney, KS at Albers Finishing & Solutions, 200+ people had the unique opportunity to view this incredible system and learn all about its capabilities while attending our very first open house. 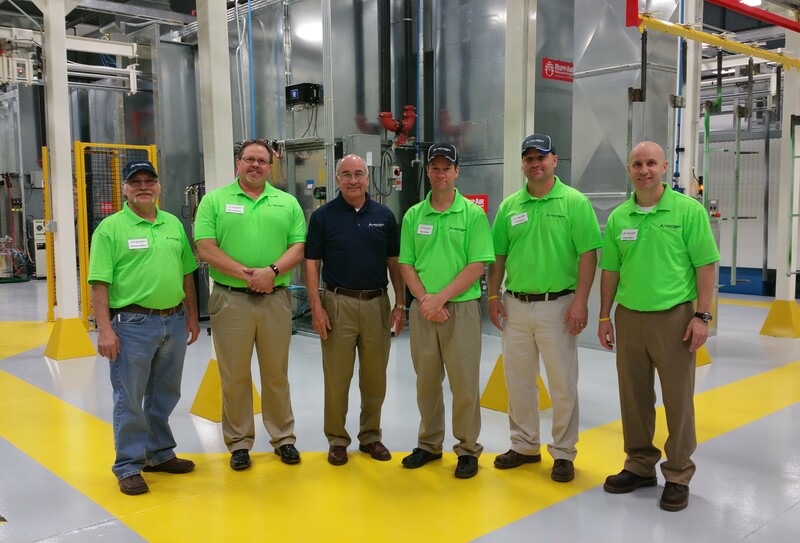 The IntelliFinishing team and Albers Finishing & Solutions came together and provided individual tours of this state of the art system, highlighting all of the features it offers for liquid finished parts. 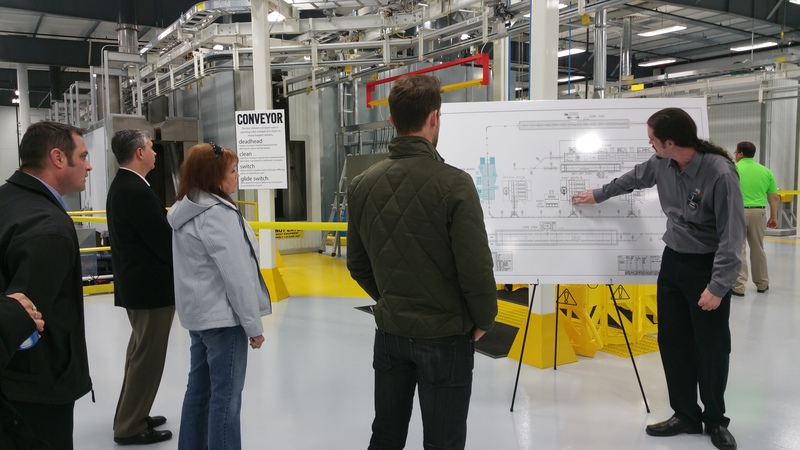 Each stage of the system from pretreatment to unload was visited and explained in detail for those on the tour. Two more customers with systems being installed have expressed great interest in teaming up with IntelliFinishing to provide tours of their systems as well. If you missed this unique opportunity, it is not too late to schedule your own personal tour, or attend an open house in the future. We will keep you posted on upcoming events. The response from our customers and potential customers of Albers Finishing & Solutions was incredible. We can’t wait to build on these relationships and show more people the benefits that a complete automated finishing system (whether it be powder coating or liquid coating) provided by IntelliFinishing can bring to your production facility. 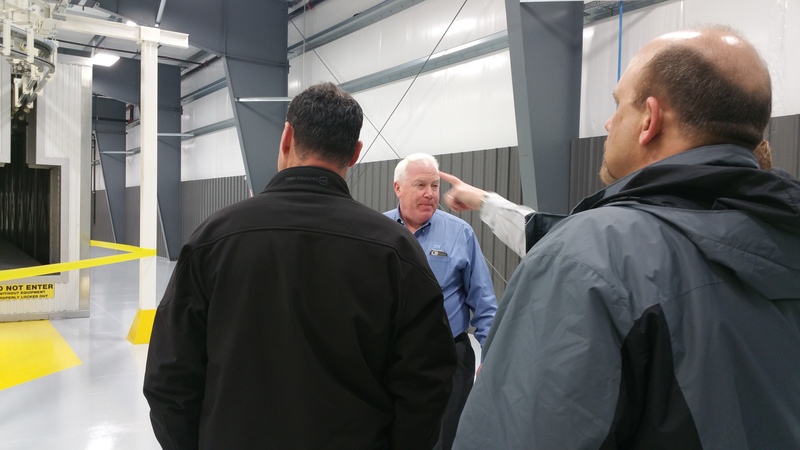 If you missed this opportunity and are interested in scheduling a personal tour or attending one of our future events, please contact us at info@intellifinishing.com or 785-309-0356.